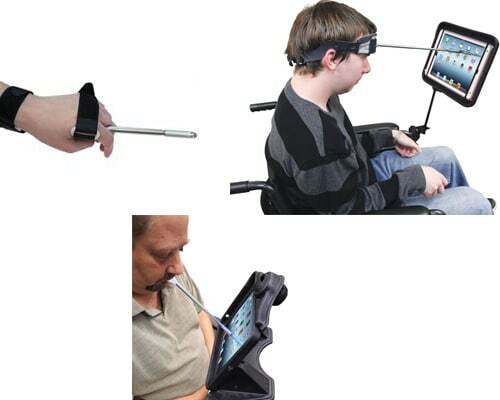 Take control of your digital life! Three different styluses are available for access to your iPad. 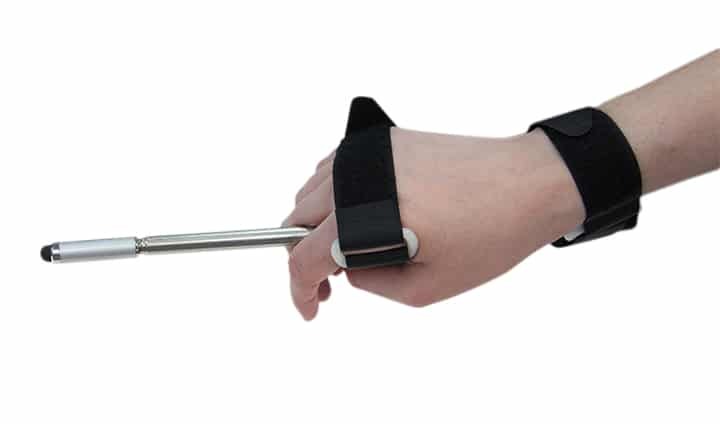 The Adjustable Touch Screen Stylus adjust with Velcro straps to fit any hand and any position. 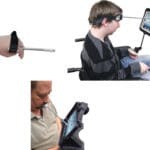 The Adjustable Touch Screen Head Stylus is perfect for those with limited hand use. 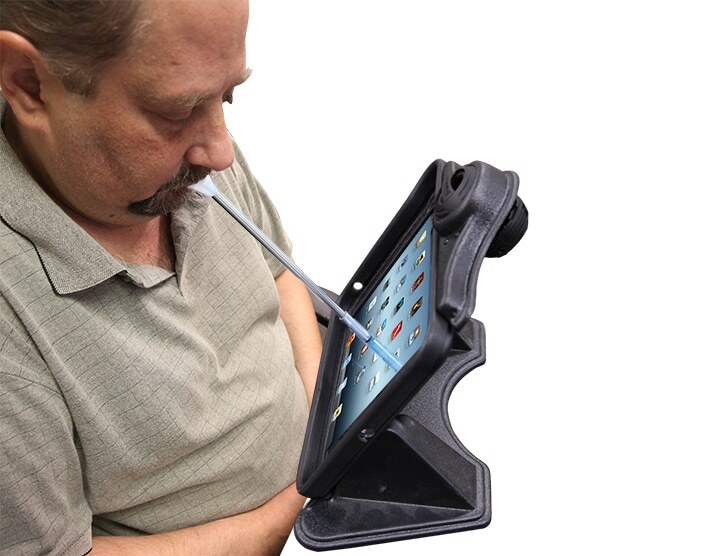 Our telescoping stylus is mounted on a sturdy headpiece and works with the slightest touch on your tablet. The headpiece has a ratchet adjustment knob that allows you to dial your head size for a percent fit. Foam inserts provide comfort. Headpiece adjusts from 6″ to 8″ in diameter. 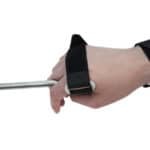 The Adjustable Touch Screen Mouth Stylus is comfortable, lightweight, and works with the slightest touch. 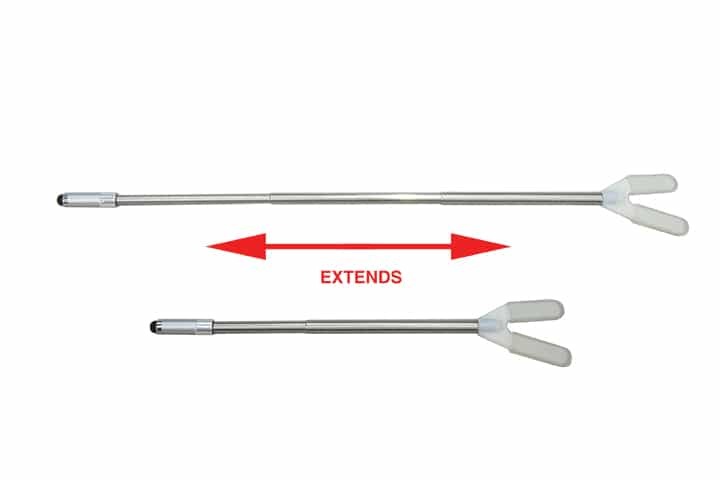 Its telescoping stainless steel shaft easily adjusts from 8½” to 24″. 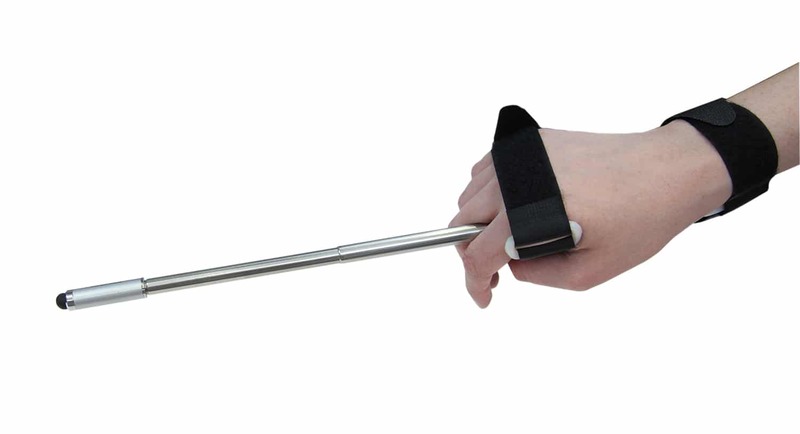 The plastic bite plate with rubber sleeves allows the user to firmly yet comfortably hold the stylus. Comes with an extra pair of protective thermoplastic rubber sleeves for the bite plate. 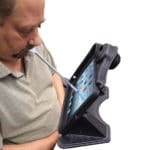 Just adjust the length of the stylus and use on touch screen surfaces including smart phones, iPads and Android tablets. 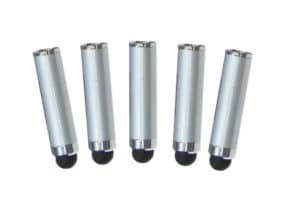 Replaceable tips available separately. 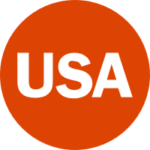 Hand Stylus Size: ½”Diameter x 2″ to 19″L. Weight: ¼ lb. 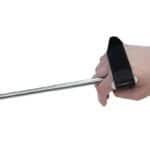 Head Stylus adjusts from 8″ to 20″L. 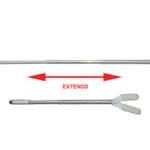 Mouth Stylus Size: 3/8″Diameter x 8½” to 24″L. Weight: 1½ oz. Weight: ½ lb. A Please contact our sale dept. directly at 1-800-832-8697. Q Can I order extra mouth sticks?